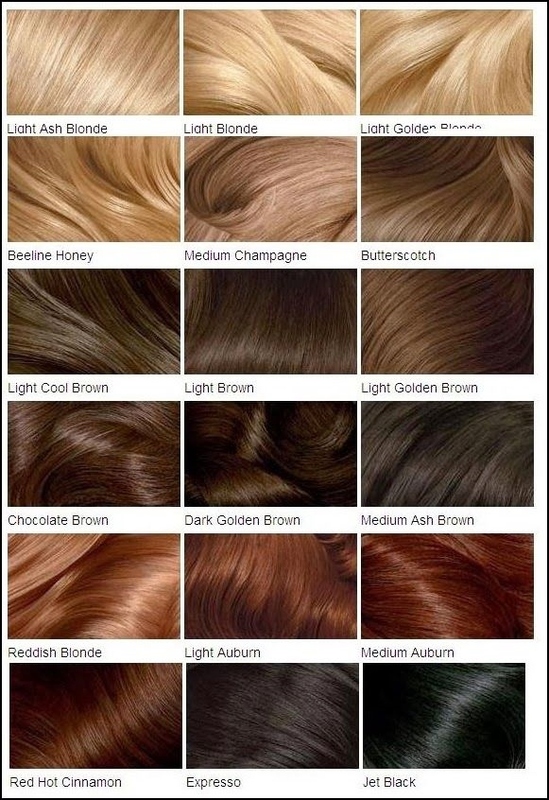 The Wigs and Hair Extensions Colour Guide. If you’ve ever wondered what #1B stood for and just what #613 looks like on wigs, then look no further – we have an explanation and mini colour charts all wrapped up for you. There are several colour charts on this page and although they may look small, just click on the images to enlarge (some can be enlarged twice - look for the expansion box top right hand of the enlarged image window). Colour charts for hair are a bit like dress sizes – they vary from store to store. 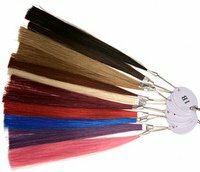 There are broadly two types of colour coding for hair extensions, wigs and hairpieces. The first system is the number system. It has established colours like #1 =jet black, #1b=off black, #2=brownish black, #4=dark brown and many others. 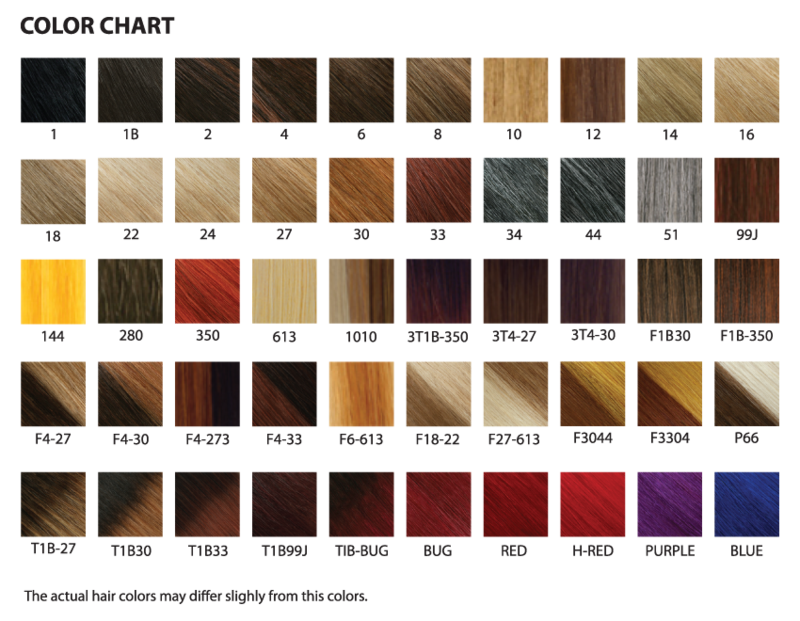 The first chart is from Jazzwavehair.com and the second hair colour chart is from L'Oreal. The second system is set by the supplier or brand. The colours follow supplier or brand specific numbering systems and descriptions. An example of this is the third colour chart on this page by L'Oreal whose Light Brown colour is very similar to colour #6 on the number system which is considered a medium brown. This can make the process of choosing the colour of your wig, hairpiece or hair extensions online a prolonged experience as you check the colour of the image against the description of the image. The good thing about hair you wear is that if something doesn’t work, you can remove it and move on, but if you want the best chance of making sure the hair colour of the wigs, weaves or extensions you choose suit you, then check out the hair extension colour and skin tone guide which outlines the most complementary colours for each skin tone as well as few more hair colour charts for you to peruse or the wig hair colour and skin tone chart. Are Synthetic Hair Colours Identical to Human Hair Colours? The shortest answer is that they're very, very similar but not absolutely identical. There are certain colours like jet black that will be almost identical in both human and synthetic hair, but other colours like platinum blonde won’t be identical (very, very similar but not identical). There are a number of reasons for this but the main reason has to do with material. Synthetic hair fibres are essentially types of plastic and the colours (dyes) are uniformly absorbed by each strand; this means that synthetic hair colours can be slightly more vivid than natural hair colours. So if you’re natural hair colour is something like colour #4 and you choose colour #4 synthetic hair clip in extensions, the colour will be very close and blend with your hair, but it won’t be 100% identical match. Colour rings are an easy way to either match up your hair colour or to decide what colours complement your skin tone. Although there is an exact science behind hair colours (dyes) different manufactures sometimes provide colours that aren't quite as exacting so it's important that you check images when buying online and use natural light to judge colours in-store. As well as the usual hair colour suspects there are a number of colours that are less usual. Fancy colours for hair you wear are basically colours that aren’t part of the spectrum of colours in the charts above… we’re talking T-colours, greens, dip-dye, blues, purples, ombre, gold, tricolours, reds, pastels, pink, silver, grey and the like. 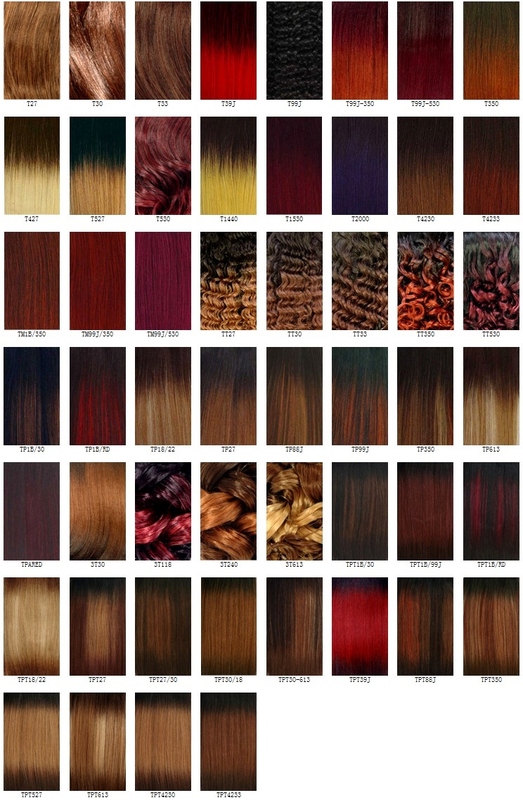 Many of these colours are available in both human and synthetic hair versions - with the synthetic versions usually being more vivid for the reasons outlined above. There's more information in the Hair Extensions Q&A and the Lace Wig Q&A section, or if you'd like to keep up with the next guide or article about wigs, hair extensions or hairpieces then join our blog. NOTE: It’s important to be aware that some of the colours may differ (be slightly lighter or darker) from those you view through your computer. This is because computer monitors have different settings that display colours in a range of hues. Chars can only serve as a guide to help you select your preferred colour.